Calculate your own freight any time without the hassle of calling for a freight quote. 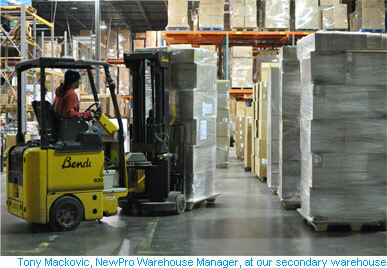 Our zone freight policy now applies to all orders including FedEx/UPS ground shipments or LTL pallet orders. * Add the percentage to the net price of your order total to calculate your shipping and handling cost. Any order of $200 or less will be charged actual shipping and handling costs that may exceed the zone percentages. *Larger fiberglass, metal, or outdoor planters—generally with one dimension of 24” or larger—ship LTL on pallets. The minimum LTL freight charge is $150. Additional charges that may apply to your order. Add $50 - Do you need a liftgate? Most trucking companies require a liftgate if you don’t have a receiving dock. Add $20 - Do you require a phone call from the shipping company in advance of your order being delivered? Add 2% - Is this a residential and/or limited access delivery location? This may include delivering to a home business, remote location, campus, etc. Whenever possible, domestic shipments will be made via UPS (United Parcel Service), or FedEx Ground. It is our policy to ship via the most economical means possible. Air freight shipments and optional expedited delivery services from some shippers are available upon request at additional cost to the purchaser. Export shipments must be arranged on an individual shipping destination basis. In-stock containers and accessories will ship same day if the order is placed before 12PM ET. Orders received after 12PM will ship the next business day. Call a Customer Service Expert to confirm product availability, shipping information, or to obtain a quote for expedited delivery.